This recognition was a special surprise for us. 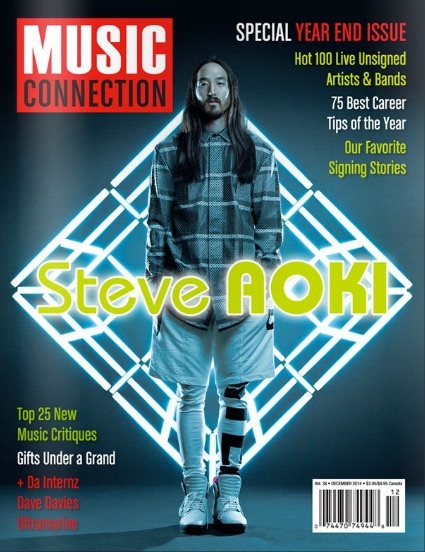 Music Connection Magazine is out of Los Angeles, California, and is legendary for its focus on new and upcoming music. They feature dozens of live performance reviews from shows every year, from all around the United States – Not just in California. 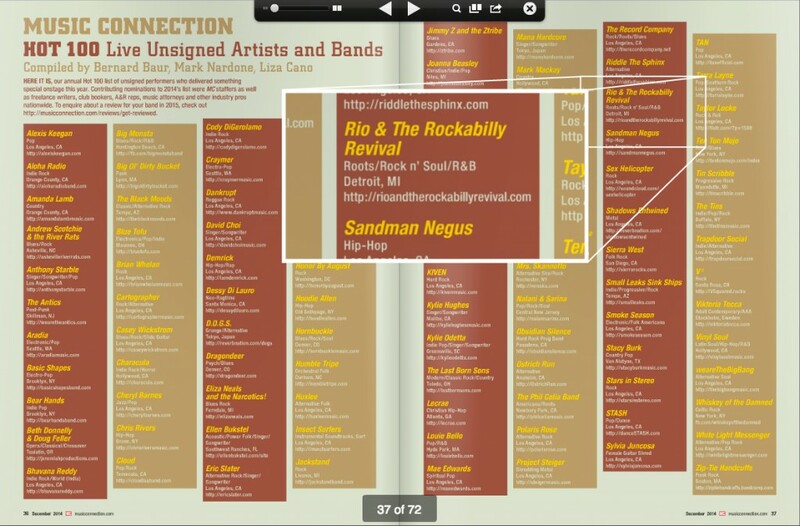 Rio and the Rockabilly Revival had gotten their attention and they sent out a reporter to review our show (see the Press Reviews category). It was a great review, but we were delighted to find out that not only did they like our show, they LOVED our show, and listed us as one of the Hot 100 Live Unsigned Artists of 2014.